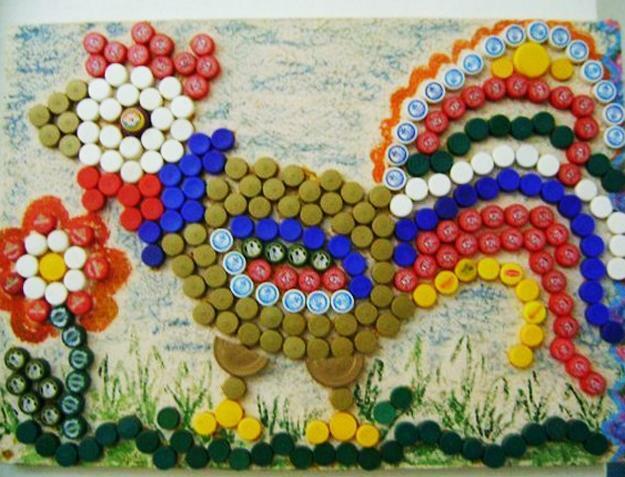 Bottle cap crafts are a wonderful way to reuse and recycle small metal and plastic bottle caps. 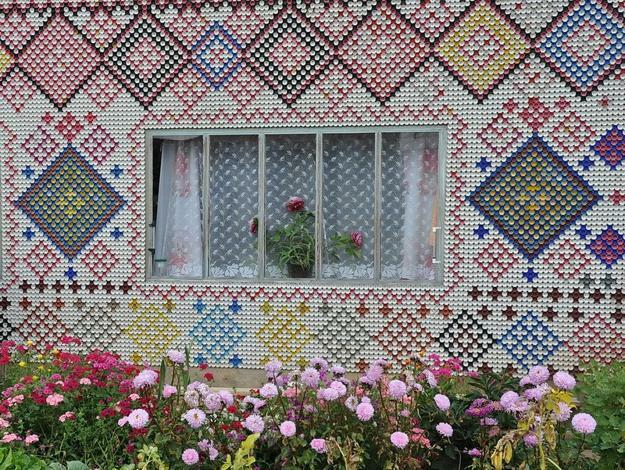 Many wonderful Green craft ideas help create amazing furniture and cheap home decorations for your rooms and outdoor living spaces, adding color and original design to your home decor. 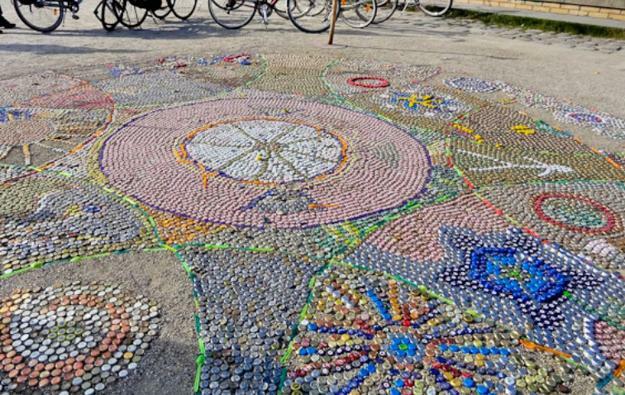 Recycling bottle caps is exciting, creative and eco friendly. 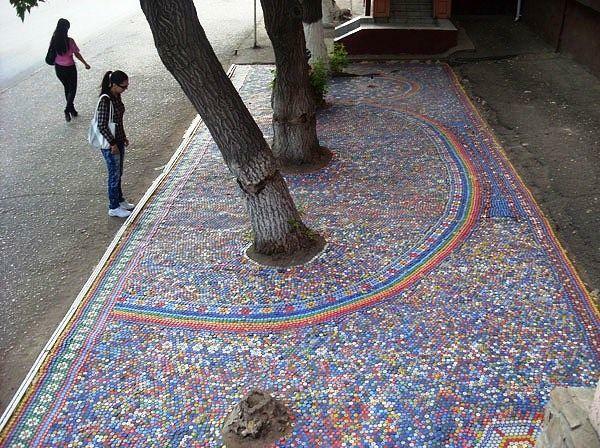 Taking care of our planet is important. 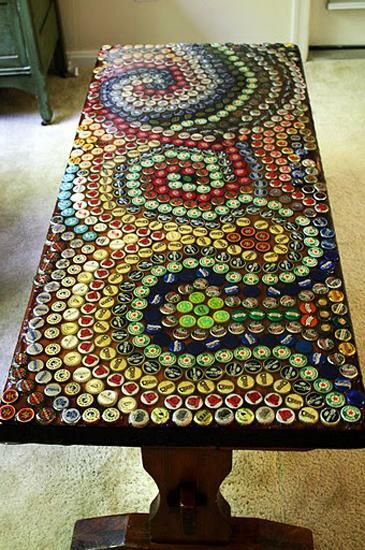 Bottle caps are an excellent material for handmade home decorations, furniture, decorative curtains and functional accessories. 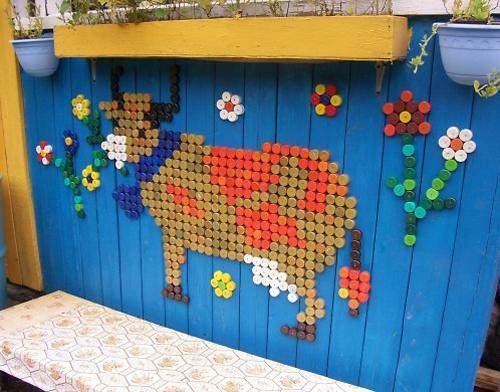 Turning used bottle caps into a unique and functional or decorative object teach kids to be creative and resourceful, and helps save money on home decorating while having lots of fun. 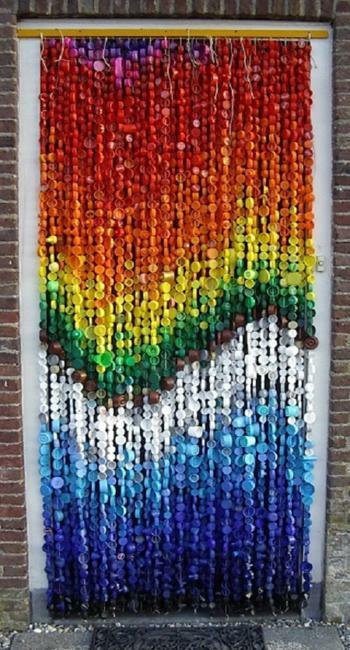 Bottle caps are great for plastic recycling. 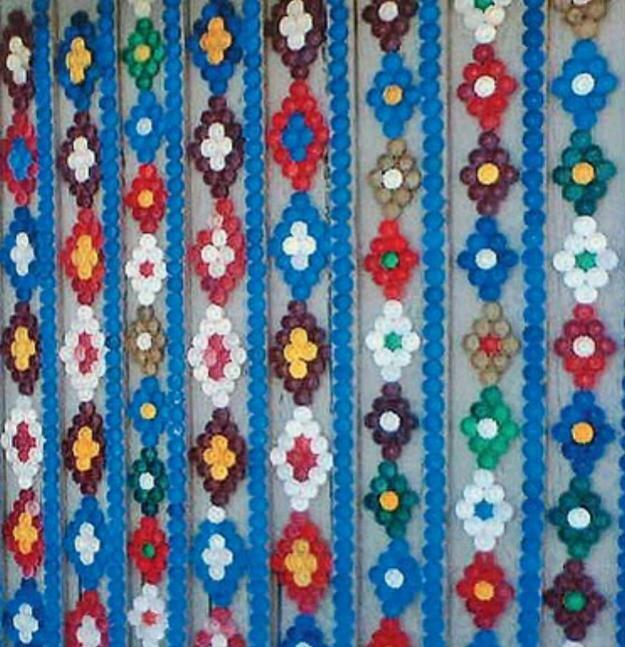 Small and easy to craft with, metal and plastic caps help create fantastic furniture and decor accessories and decorate outdoor living spaces, fences and walls in colorful and creative style. 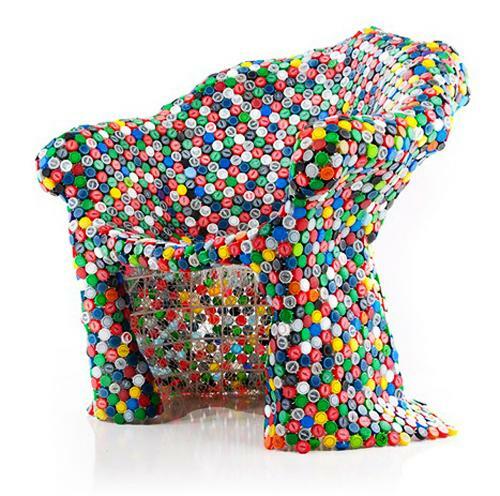 Instead of tossing your bottle caps away, make intriguing bottle cap furniture, storage boxes, baskets or wall decorations that you can use and enjoy all year round. 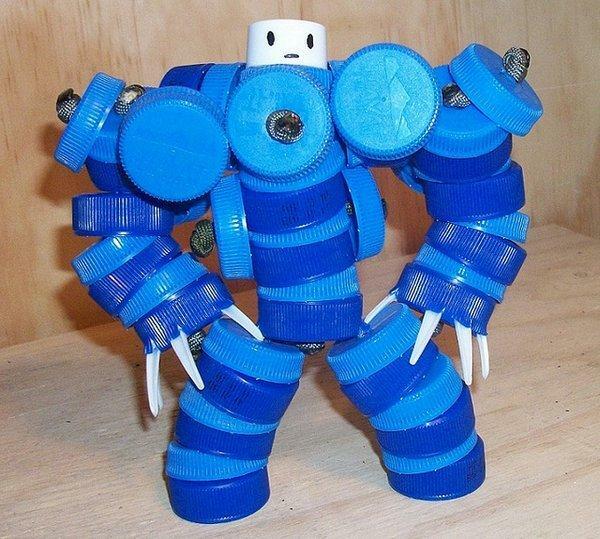 Metal and plastic bottle caps are excellent for adults and kids crafts. 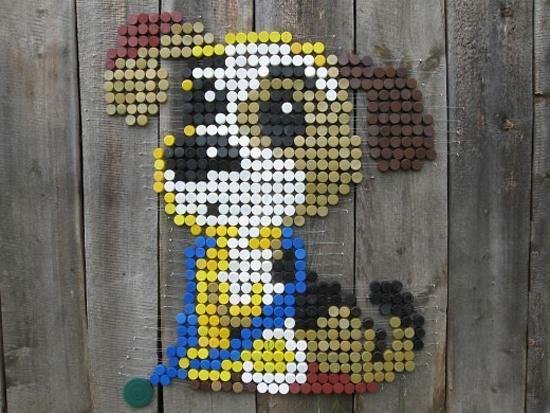 Here is a collection of inspiring craft ideas to reuse and recycle bottle caps. 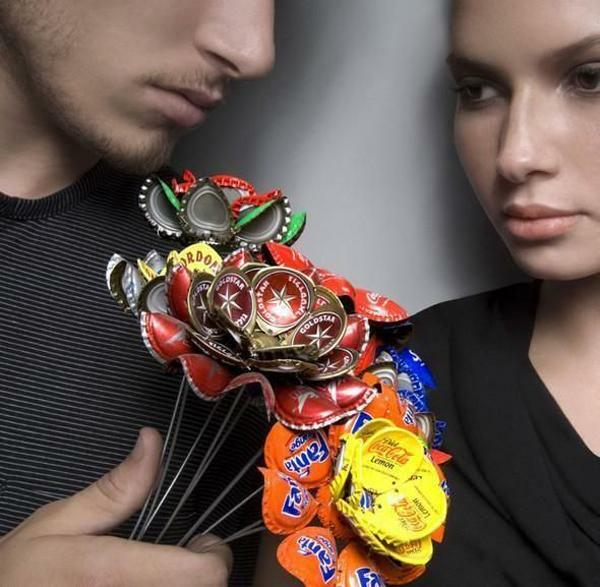 You can create stylish flower bouquets and decorate gift boxes with plastic bottle caps. Metal and plastic boxes are great for decorating simple furniture pieces and empty walls, and turning them into spectacular and exclusive. 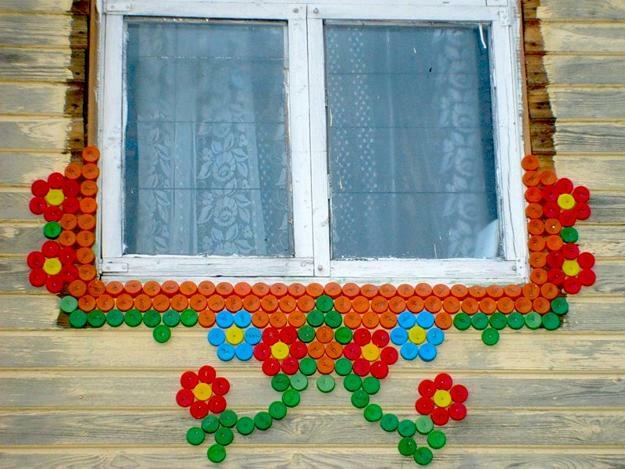 Plastic caps are particularly a good material for recycled crafts and furniture decoration projects. 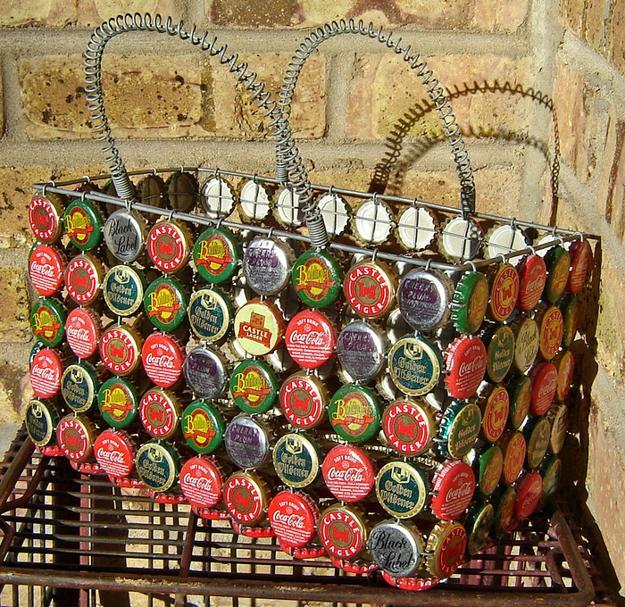 Some recycling centers do not accept bottle caps, so crafting with them is a fabulous alternative to reuse and recycle caps creating beloved treasures for your home decorating. 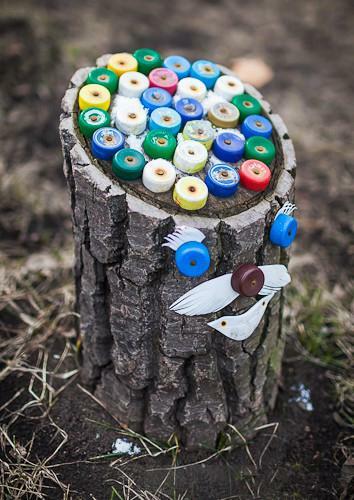 You can play with various colors and different sizes or style of bottle caps to design unique shapes and textures. If you want to work with metal caps, use a small nail and a hammer to create a hole on the edge of the bottle cap. 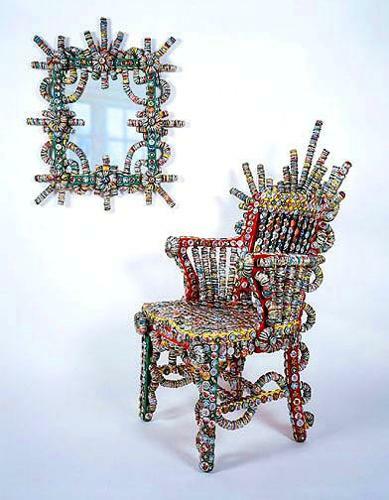 your can add a vintage flair to your furniture or home decorations by covering the metal caps with old postage stamps, pieces of fabrics, ribbons or lace that bring unique vintage feel into interior decorating with caps. 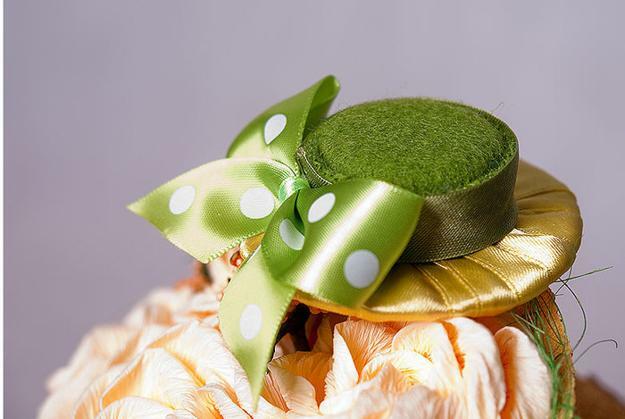 Small fabric pieces, ribbons, buttons, beads, colorful feathers, fur and yarn, – anything can be used for creating unique storage baskets, decorative vases, gift boxes or personalized gifts with caps. 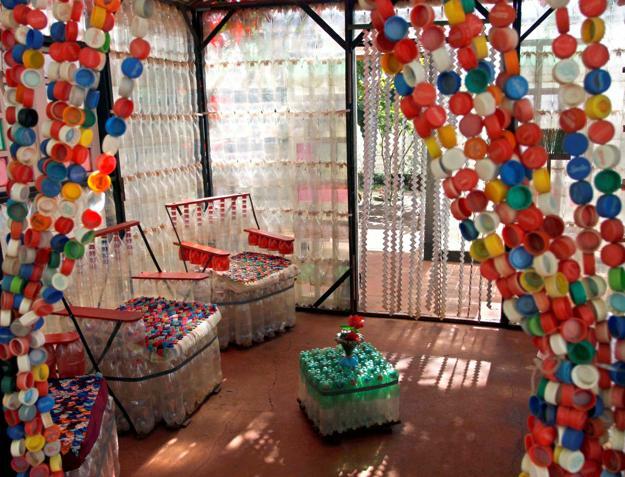 There are unlimited possibilities and numerous creative ways to reuse and recycle bottle caps for interior decorating and outdoor living spaces. 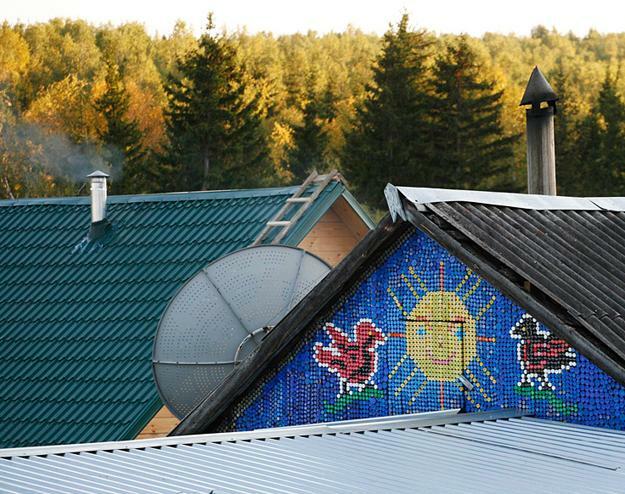 Wall murals and small wall decorations, outdoor furniture and decorative curtains, screens and place mats for your picnic table, anything you create with caps looks fantastic. 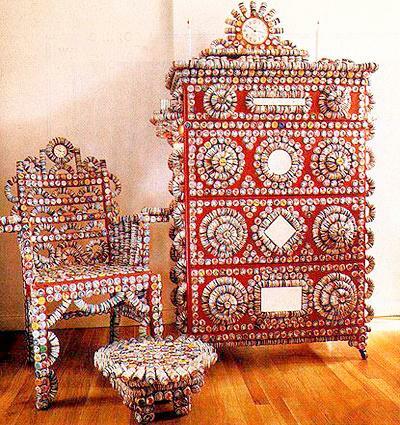 You recycle bottle caps for contemporary furniture or give the bottle cap designs an old-fashioned appeal. 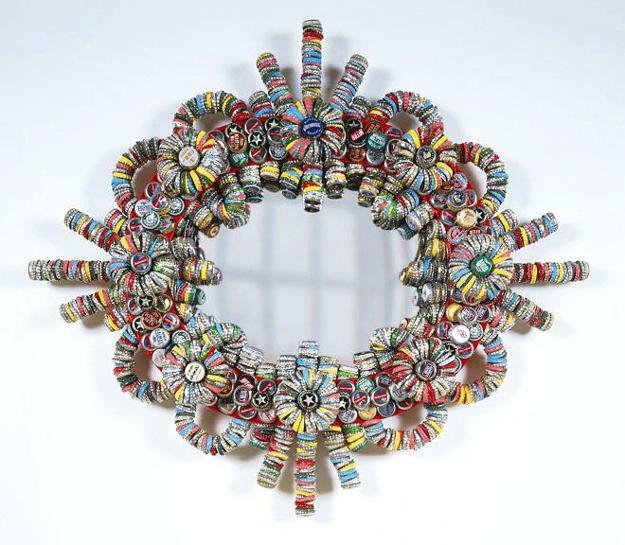 Select your favorite images and decoration patterns and design chic-looking home furnishings and very special gifts, embedding an old charm into unique creations and surprising everyone with creative and unusual ways to reuse and recycle bottle caps.